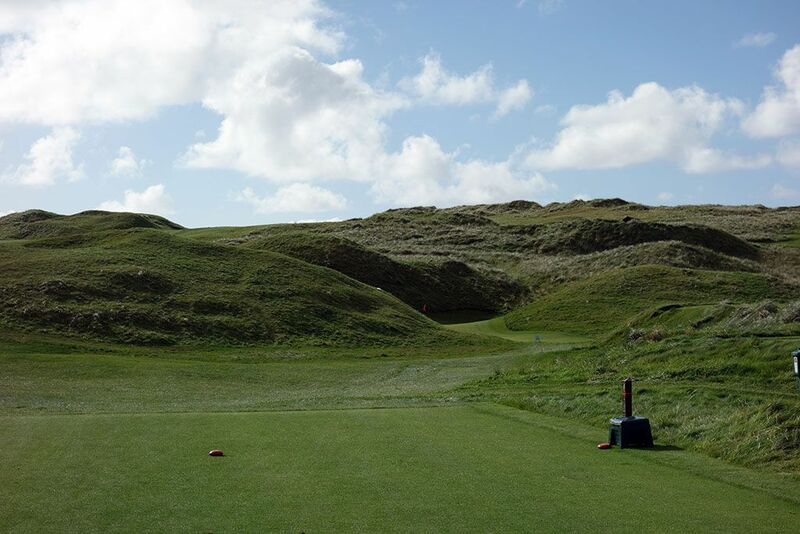 Course Website: Official Website - Visit Lahinch Golf Club's official website by clicking on the link provided. 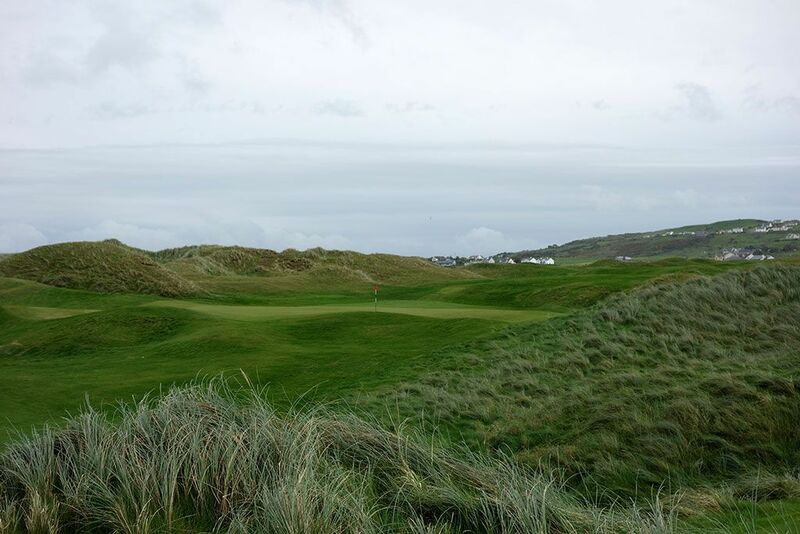 Accolades: Ranked 6th in Ireland by Golf Course Gurus. 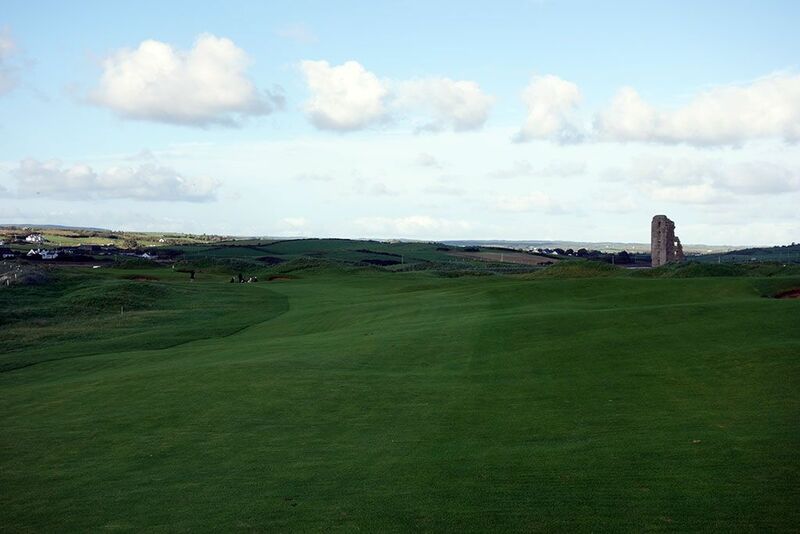 What to Expect: In a day where golf course designers spend more time on a computer or with a set of topographical maps rather than being on site at the property, Lahinch proves that the best architect will always be Mother Nature. 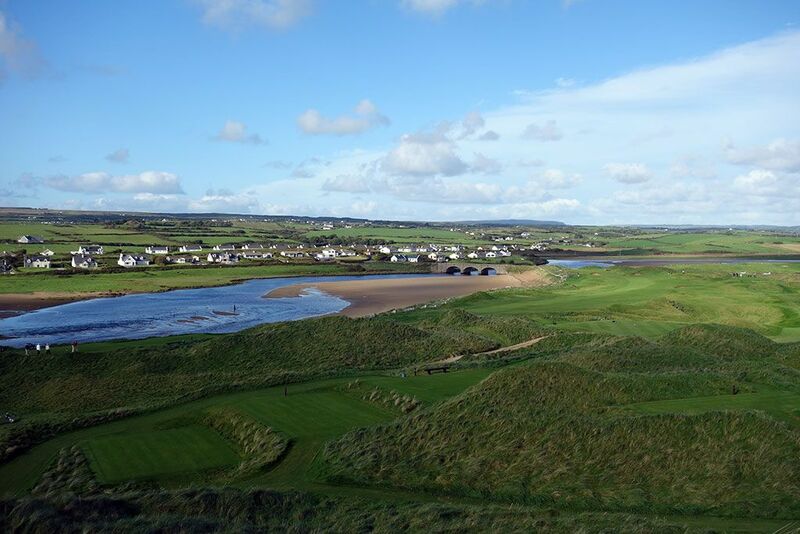 With an incredible setting boasting the Atlantic Ocean, an estuary, and old castle relic as neighbors, Lahinch doubles down with rolling dunes, sandy soil, and incredible undulation throughout the interior of the property. 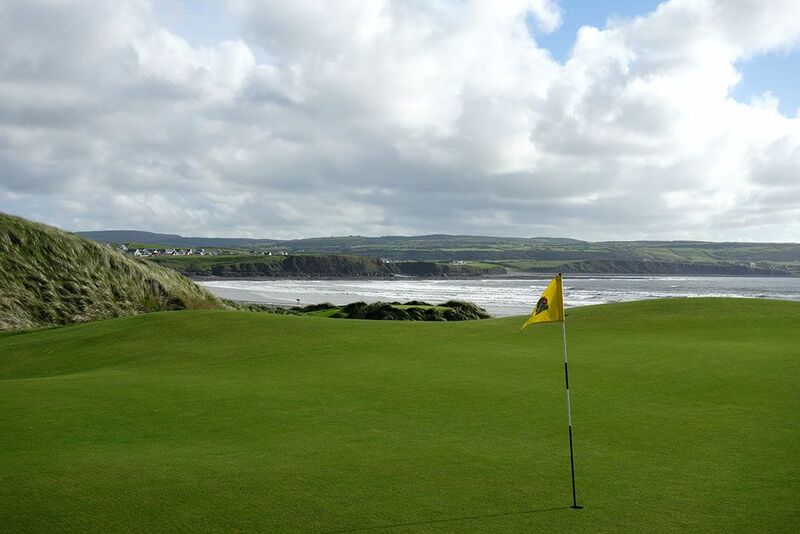 Simply put, few properties are better suited to be a golf course then the one Lahinch rests on. Two of the most famous and unusual holes sit back to back at Lahinch; the Old Tom Morris designed Klondyke 4th hole and Dell 5th hole. 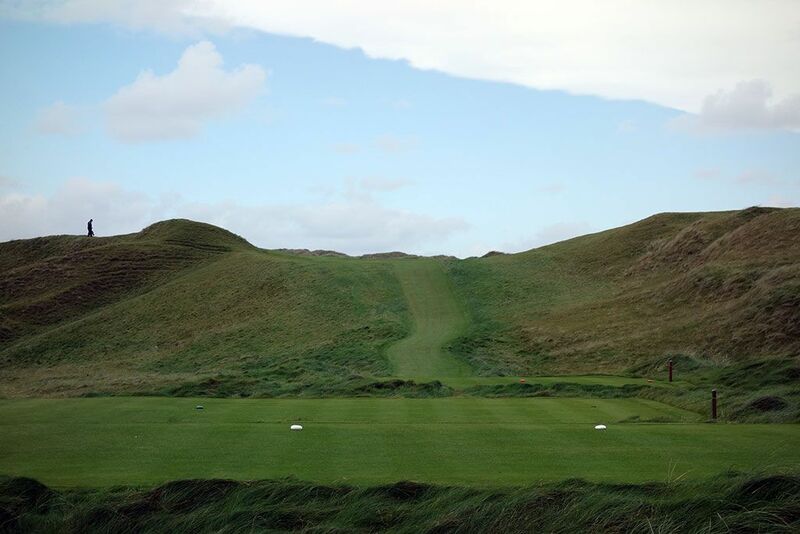 Klondyke, a short par five with a blind approach, features a 35 foot dune in the middle of the narrow fairway with a man holding a red flag and a green flag that will signal you when you are clear to take a blind rip at the green on the other side. 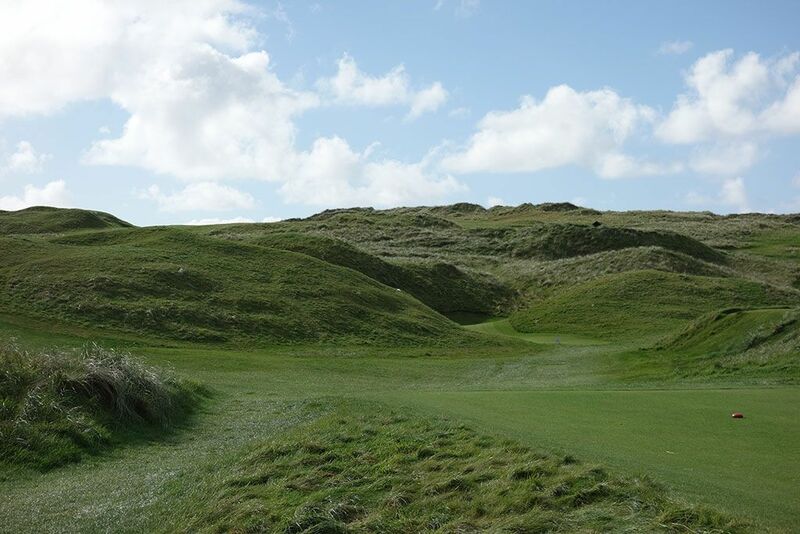 The blindness continues on the next hole with Morris' famous Dell design, a short par three with a long shallow green wedged between towering 30 foot dunes with a white rock placed in the side of the dune to give players an indication of where the middle of the green is. These are two holes that would never be designed today which makes them all the more fun and unique to enjoy. 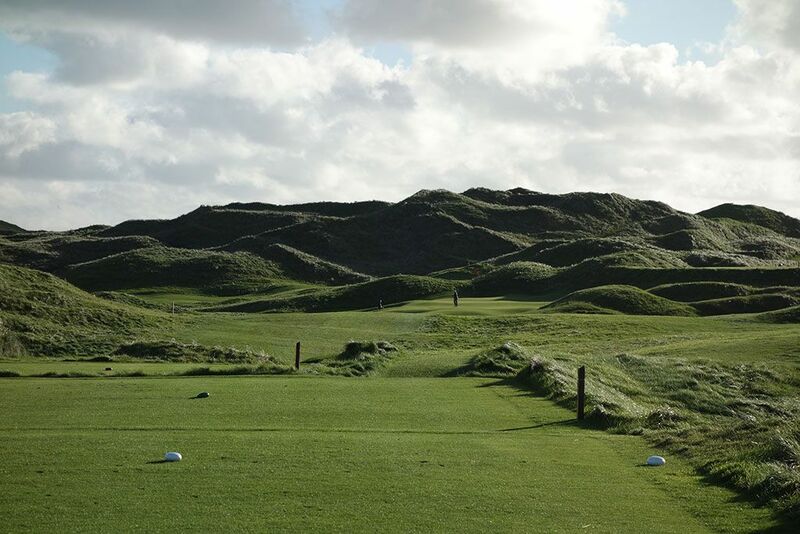 Lahinch goes on to deliver a fine collection of holes with incredible variety, great memorability, and favorable course conditioning that all adds up to being one of Ireland's elite level courses and one of the great links in the world. 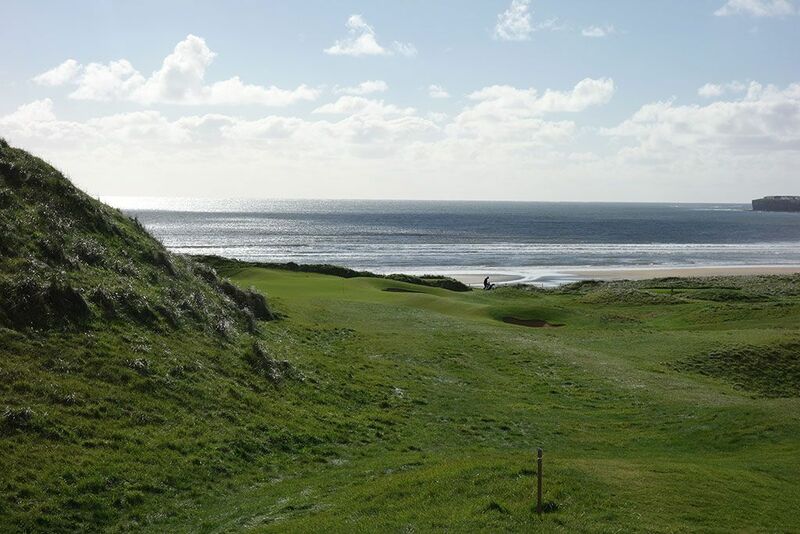 It should also be noted that Lahinch is a walking-only course with trolleys/pull carts available for hire if you don't want to carry your bag or you can employ a caddie to loop for you. Signature Hole: 4th Hole – 475 Yard Par 5 – One of the most famous holes in Ireland is MacKenzie's unique Klondyke hole which is followed up by the equally famous, and unusual, Dell hole. Klondyke features a tight fairway that players should favor the right side of to utilize the slope and bring their tee ball back to the center of the short grass. The blind approach plays over Klondyke Hill where a flag man will be signaling players when it is clear to hit (red means wait; green means play). An approach shot that sails over the 'V' in the hill will be on an ideal line to reach the putting surface and perhaps enjoy an eagle opportunity. No matter what you do, make sure you take enough club to clear the Klondyke Hill because failing to do so will almost surely result in a bogey or worse. If built today the hole would be criticized mercilessly, but fortunately MacKenzie design this treasure at a time it was more acceptable and you get to be the benefactor of enjoying such a memorable offering. Best Par 3: 5th Hole – 154 Yards – A blind par three? The PGA Tour would never allow it, but fortunately you and I don't play on the Tour and can instead experience one of the most original one-shotters in the world. 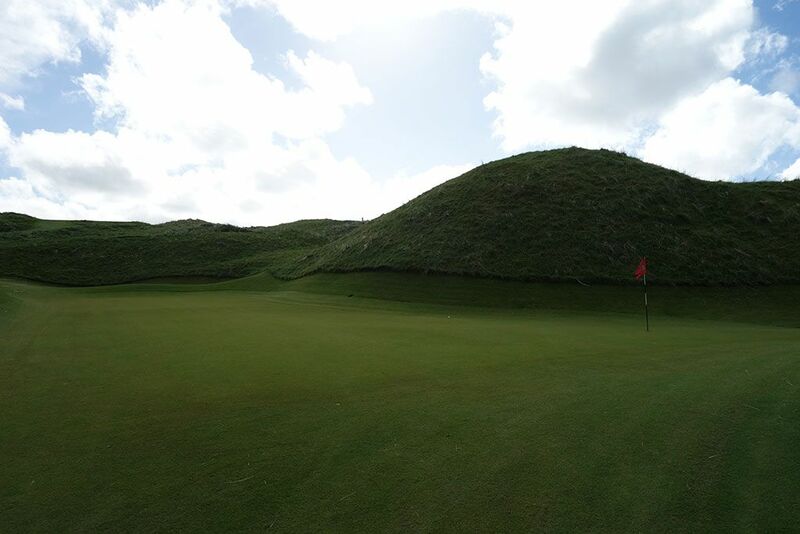 The Dell hole plays over a large dune that blocks the majority of your view of the putting surface and thus a white aiming stone is placed in the dune as a point of reference. The flag is often positioned on the right side of the green where there is some visual exposure from the tee, but with just 18 yards of depth on that side and 12 yards on the left, the 5th hole demands distance control wherever the flag is placed. An additional dune creates the backdrop for this green and you can bank on the fact that the hole plays 1-2 clubs longer than the yardage indicates. Best Par 4: 6th Hole – 424 Yards – The 6th hole sits in the middle of one of the best front nines you'll ever come across with this two-shotter laid between the dunes being a legitimate reason why. A dogleg left that finishes on a bluff above the ocean, players must keep their tee shot short of the crater bunker that is carved in the middle of the fairway 140 yards from the middle of the green. 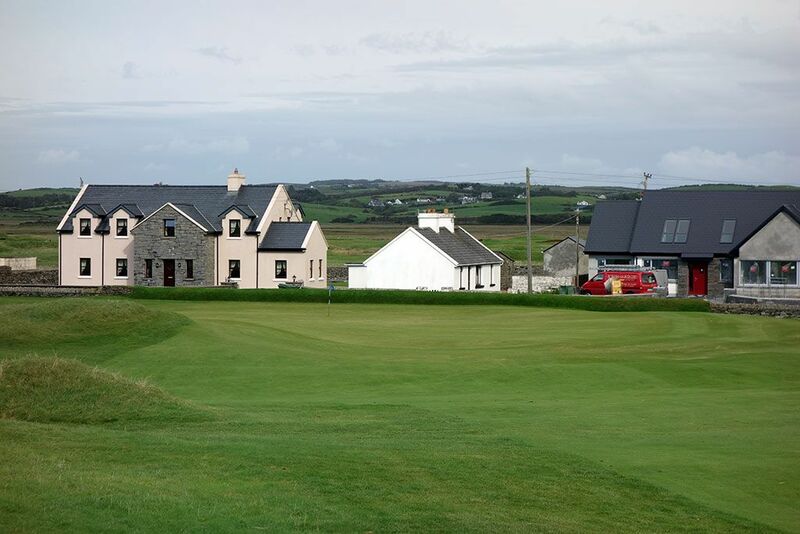 The downhill approach features an inspiring view to the Atlantic while caution should be taken to avoid the bowled bunker that consumes the area right of the green. Dunes, crater bunkers, elevation changes, and ocean views? 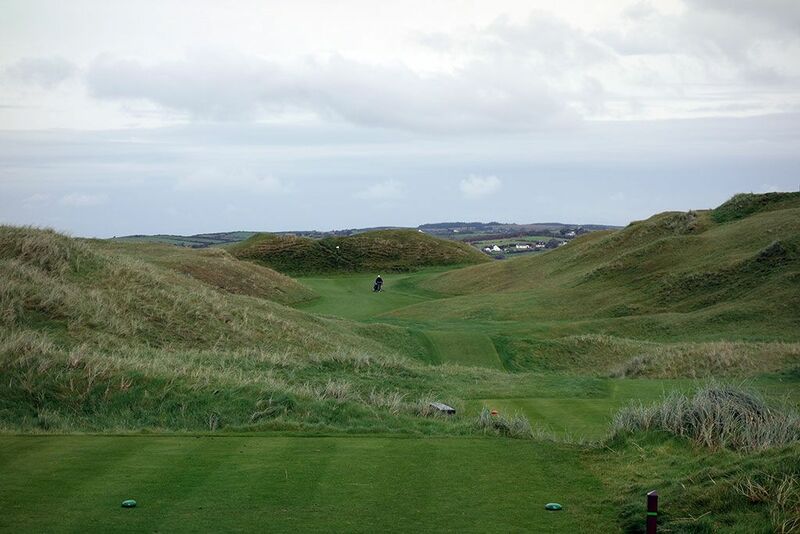 No wonder Lahinch is regarded as one of the most memorable courses on earth and a perennial Top 100 track. Best Par 5: 12th Hole – 577 Yards – The 60 yard difference from the back tee to the white tee can quickly become the difference between reaching this green in two and playing it as a three shot hole. Off the tee your aiming point is about 10 yards right of the castle in the distance while a little draw will maximize your distance and follow the dogleg as it hugs the sandy beach of the River Moy's estuary. With the rolling dunes, sandy beaches, blue waters, and stone structures (castle ruins and bridge across river), the 12th is a gorgeous hole with bunkering that adds a level of beast to the beauty. Birdie Time: 13th Hole – 279 Yard Par 4 – While having a driveable par four isn't requisite for a course to be deemed great, it certainly helps. Who doesn't love the opportunity of a great drive being rewarded with an eagle putt or the shorter player having just a short wedge shot into a green with the chance to card a birdie? I haven't met such a golfer yet. Great skill will be needed to hold this multi-tiered green that is defended by a pair of bunkers on the left and dunes on the right. Whether going for the green or playing it safe, the best line is at the left edge of the green where the green opens up and where there is enough width to provide a buffer against kicking into the gnarly grassed swells right of the fairway. In match play one can hardly request a finer hole to compete on for every range of handicap while the stroke player sees the 13th as a time to capitalize on a scoring opportunity. 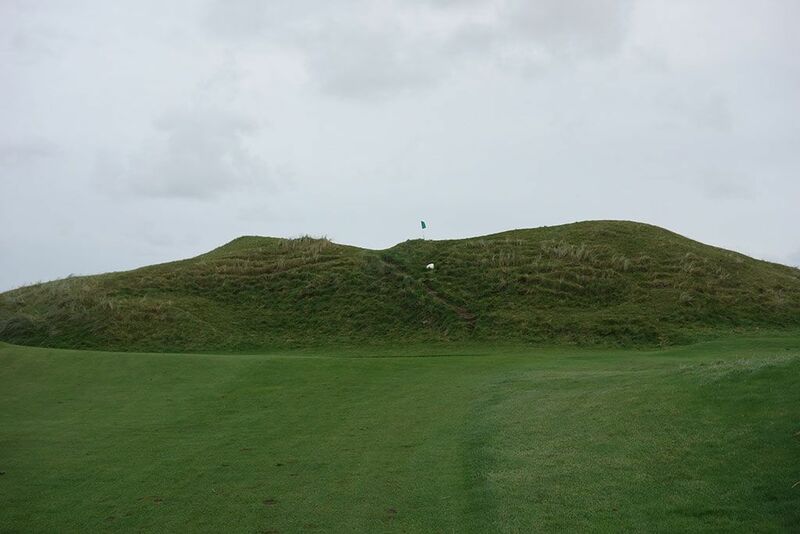 Bogey Beware: 3rd Hole – 446 Yard Par 4 – It is on the 3rd hole at Lahinch that players get a true sense of the magnitude of Lahinch's terrain. A level of intimidation looms when standing on the tee as players summon the courage to hit their drive over a nearly 20 foot hill to a blind fairway. A drive straight over the walking path is an ideal line as long as players don't hit it through the dogleg that begins 150 yards from the green. The approach shot generally plays into the wind as the fairway drives out towards the ocean with dunes encircling the putting surface. Conquering the hole is a lot of mind over matter . . . but the matter is pretty stout.